President Obama's national health care law will cost $1.76 trillion over a decade, according to a new projection released today by the Congressional Budget Office, rather than the $940 billion forecast when it was signed into law. When Obamacare hit I thought, 'Wow, it's gonna be affordable.' That has not been the case... This has just put me in a whirlwind. I have no idea what I'm going to do. "This is not affordable at all. This is the unaffordable care act. I don&apos;t know what this world is coming to. It&apos;s scary," said Heaps. "It makes me want to cry... When Obamacare hit I thought, &apos;Wow, it&apos;s gonna be affordable.&apos; That has not been the case... This has just put me in a whirlwind. I have no idea what I&apos;m going to do." "Of course, I want people to have health care," Vinson said. "I just didn&apos;t realize I would be the one who was going to pay for it personally." On Thursday, the government&apos;s official Obamacare Facebook page was riddled with people expressing sticker shock over the government&apos;s high cost premiums after struggling for hours to wade through the technical failures vexing Obamacare exchanges all across the country. "I am so disappointed," wrote one woman. "These prices are outrageous and there are huge deductibles. No one can afford this!" The comment received 169 "likes." "There is NO WAY I can afford it," said one commenter after using the Kaiser Subsidy Calculator. Liz Binns told Newsnet 5 that the federal health-care exchange was no salvation for her and her husband. He has a preexisting condition and a job that doesn’t offer coverage. However, the cheapest plan she was able to find on the federal health-care exchange has a premium over $400 and a $5,000 deductible. "I can’t afford it. I cannot afford it," Binns said. She predicted that she would be able to pay off such costs only with "at least a second job and praying that I would make enough." Binns has been attempting to use the site since October and says she isn’t sure what her next course of action will be. "I thought this was going to be the miracle for us and it’s not," Binns said. Obama is quoted as saying, "If you like your insurance plan, you will keep it. No one will be able to take that away from you." "But people across the country are finding out they&apos;re losing their existing insurance plans under Obamacare," says the reporter. "In Florida, at least 300,000 people are losing coverage." "When I got this bill, I was outraged," CBS quotes a 56-year-old Florida resident who got dropped from her health care plan. Her new plan will be 10 times higher than what she&apos;s paying now, jumping from $54 a month to $591. Michael Hood, 46, who lives near Winston-Salem, is another of the Blue Cross customers who is suffering sticker shock after receiving a recent renewal letter. He and his wife, who is expecting their third child, now pay $324 per month for a plan with a $10,000 family deductible. The comparable plan suggested by Blue Cross for next year would cost $895.27 per month with an $11,000 family deductible. Their annual payment would rise from $14,000 to $24,000. For example, my insurance plan right now for my spouse and I costs $545 a month with 100% coverage after my $2500 deductible. We are both 32 years old. When I looked at this site for 80% coverage it says it will be $954.78 a month!!!! So compare my old Plan: 100% coverage for $545 a month To New Plan: 80% Coverage for $945 a month. This is only only an estimate but it is VERY Scary for me to see this kind of increase in rates and reduction in benefits! Across North Carolina, thousands of people have been shocked in recent weeks to find out their health insurance plans will be canceled at the end of the year – and premiums for comparable coverage could increase sharply. One of them is George Schwab of Charlotte, who pays $228 a month for his family’s $10,000 deductible plan from Blue Cross and Blue Shield of North Carolina. In a Sept. 23 letter, Blue Cross notified him that his current plan doesn’t meet benefit requirements outlined in the Affordable Care Act and suggested a comparable plan for $1,208 a month – $980 more than he now pays. “I’m 62 and retired,” Schwab said. “This creates a tremendous financial burden for our family. Insurance costs will increase an average of 51 percent in Wisconsin under the Obamacare exchanges according to an analysis by the Office of the Commissioner of Insurance released Tuesday morning. 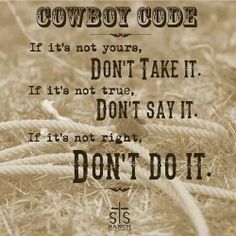 Ironically, President Barack Obama said the exchanges were having the opposite effect during a speech in California this summer. "Competition and choice are pushing down costs in the individual market just like the law was designed to do," the president said on June 7th. "We are making some pretty radical changes because of &apos;health care reform,&apos;" says Purdue&apos;s Eva Nodine. "So we wanted to make sure we had enough time to educate our employees because education is key." The reporter adds, "$2.8 million dollars in added fees and claims are included in the recommendations for next year. Now that&apos;s due to the &apos;Affordable Care Act.&apos; The medical plans and premiums will go before the full board for approval on Friday." When President Obama was selling his health care legislation to Congress, he declared that “the plan I’m proposing will cost around $900 billion over 10 years.” But with the law’s major provisions set to kick in next year, a new analysis by the Congressional Budget Office projects that the law will cost double that, or $1.8 trillion. Young people in 45 states will see their health insurance premiums increase under Obamacare because the law relies on the money they pay into the system to offset the cost of caring for older enrollees, according to a new study. Virginia leads the pack, as individuals aged 27 and under will see their health insurance premiums jump by 252.5 percent -- $416.55 -- according to the Heritage Foundation&apos;s Center for Data Analysis. Virginians under the age of 50 will see their premiums jump by an even greater percentage, rising from $228 to $991.03. By repealing those coverage provisions of PPACA and the Reconciliation Act, over the 2012-2021 period H.R. 2 would yield gross savings of $1,390 billion and net savings (after accounting for the offsets just mentioned) of $1,042 billion. Democratic Senator Max Baucus admitted that the $1 trillion-over-10-years figure for Obamacare is not realistic. The actual figure is $2.5 trillion — 2 1/2 times as much. Two of the central promises of President Barack Obama&apos;s health care overhaul law are unlikely to be fulfilled, Medicare&apos;s independent economic expert told Congress on Wednesday. The landmark legislation probably won&apos;t hold costs down, and it won&apos;t let everybody keep their current health insurance if they like it. President Obama’s landmark health-care initiative, long touted as a means to control costs, will actually add more than $340 billion to the nation’s budget woes over the next decade, according to a new study by a Republican member of the board that oversees Medicare financing. "President Obama promised a joint session of Congress in 2009 to spend $900 billion over ten years on his health care law: &apos;Now, add it all up, and the plan that I’m proposing will cost around $900 billion over 10 years.&apos;... The latest estimate, as the chart details, is that Obamacare will cost $2.6 trillion dollars in its first real decade. Tens of thousands of health care professionals, union workers and community activists hired as "navigators" to help Americans choose Obamacare options starting Oct. 1 could earn $20 an hour or more, according to new regulations issued Wednesday... It is still not clear how many navigators will be required. California, however, provides a hint. It wants 21,000. That could be an expensive proposition. The proposed rules, now open for public comment, suggest an estimated pay of $20-$48 an hour. Christine Jacobs of Theragenics said: "We make widgets -- hips, knees, stents, pacemakers, and implants, even, for prostate cancer. Those widgets tend to be used by people that are elderly. As the body parts wear out, we&apos;re needed." But Jacobs notes that most people whose body parts wear out are already on Medicare, so ObamaCare does not provide a new revenue stream for her company -- only financial pain. "In the case of a small company, that medical device tax is equal to our R-and-D budget for this year," Jacobs said. In the latest preview of prices for health coverage under the Affordable Care Act, Maryland’s dominant insurer says proposed premiums for new policies for individuals will rise by 25 percent on average next year. That’s lower than what some had predicted. Just three weeks ago, the insurer, CareFirst BlueCross BlueShield, had been looking at a proposed 50 percent increase. A third of Blue Cross and Blue Shield’s customers who buy individual policies – or about 125,000 residents – should prepare for unusually large rate increases, according to the Chapel Hill company... The rate plans are anticipated as a barometer of North Carolina’s emerging health care landscape that will take shape under the Affordable Care Act, the 2010 federal law that takes effect in less than seven months. Deep in the list of taxes that the president&apos;s Obamacare plan will hit Americans with is a 40 percent excise tax on health plans typical union members have, especially in Midwest states, according to a new analysis. The Obamacare tax won&apos;t take place until 2018, but when it does it will smack high cost, or so-called "Cadillac" health insurance plans, according to the group Americans for Tax Reform. [Jan 2016]: Forty-nine of 50 states will see premium hikes on the individual market in 2016, according to a tracker released by Freedom Partners, a Virginia-based non-profit. Every state with the exception of Mississippi will see their health insurance premiums rise in 2016, and most states will see double-digit increases. Forbes reported Thursday that California’s brand of Obamacare, Covered California, will cause residents to experience rate increases ranging from 64 to 146 percent. Peter Lee, the executive director of the California exchange, bragged that Covered California will help reduce the financial burden experienced by Californians by decreasing insurance premiums. “We will be able to deliver exceptional value, low rates, access to health care in every region of the state,” Lee said last week. Dozens of lawmakers and aides are so afraid that their health insurance premiums will skyrocket next year thanks to Obamacare that they are thinking about retiring early or just quitting. The fear: Government-subsidized premiums will disappear at the end of the year under a provision in the health care law that nudges aides and lawmakers onto the government health care exchanges, which could make their benefits exorbitantly expensive. House Minority Leader Nancy Pelosi (D-Calif.) said on Thursday that health insurance premiums will go up under Obamacare because people who did not buy insurance before, and thus had no premium at all, will now be forced to buy insurance. 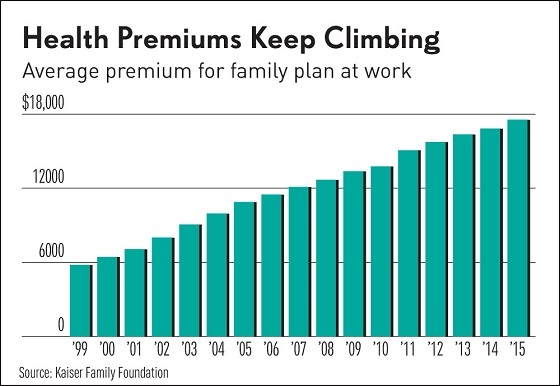 Since 2008, average family premiums have climbed a total of $4,865. The White House cheered the news, saying it was a sign of continued slow growth in premium costs... Slightly less higher premiums aren&apos;t what President Obama promised Americans when he ran for office touting his medical overhaul. He specifically said his plan would cut premiums. "We will start," Obama said back in 2008, "by reducing premiums by as much as $2,500 per family." That $2,500 figure was Obama&apos;s mantra on health care. Delta Air Lines has issued an urgent warning about the impact of ObamaCare, claiming the law&apos;s implementation will contribute to a roughly $100 million increase in health care costs next year alone. The astonishing figure was included in a letter from Delta executive Robert Kight to officials in the Obama administration. A representative with Delta confirmed the authenticity of the letter to FoxNews.com. A national study of the Affordable Care Act shows people in New Mexico who buy health insurance on their own could face a huge spike in their premium costs... The study says that New Mexico, at 130 percent,will see the steepest rate hike, followed by Vermont (97 percent), South Dakota (83 percent) and Connecticut (50 percent). International Business Machines Corp. plans to move about 110,000 retirees off its company-sponsored health plan and instead give them a payment to buy coverage on a health-insurance exchange, in a sign that even big, well-capitalized employers aren&apos;t likely to keep providing the once-common benefits as medical costs continue to rise. The nation’s largest drug store chain Walgreens is changing the health care plan for 160,000 of its employees as a result of Obamacare, among the latest employers to make changes as the law’s further implementation moves closer. The new plan will reportedly force employees to pay for more of their health care costs, as the company seeks to avoid the rising costs resulting from the law. A so-called "family glitch" in the 2010 health care law threatens to cost some families thousands of dollars in health insurance costs and leave up to 500,000 children without coverage, insurance and health care analysts say... "The family glitch is definitely a drafting error that Congress made that needs to be fixed," said Joan Alker, executive director of the Georgetown University Center for Children and Families. "But that seems unlikely." One mother told 69 News the choice for her has come down to selecting a new health plan or putting food on the table... "I feel it&apos;s important for people to understand that the premiums aren&apos;t affordable," said Jennifer Most, of Morrisville... In order to stay covered, "my premium for health insurance was $947.63," added Most. That is a more than $765 above what she currently pays. "It would take food out of our mouths to be able to afford these coverages," said Most. There were no decreases in 2014 premium rates for healthy, 30 year old women under the exchange system as compared to the individual market in 2013. All 50 states and the District of Columbia saw insurance rate increases, with 42 of those states experiencing triple digit percentage increases in premiums for the lowest-priced coverage. Pre-ACA premiums for a 30 year old nonsmoking woman average $74.49 monthly, while post-ACA premiums average $188.72 per month, a $114.23, or 153 percent, increase. Health insurance rates are so high in Colorado’s mountain resort areas that U.S. Rep. Jared Polis plans to seek waivers from the federal government so people who skip buying insurance in 2014 won’t face financial penalties. “We will be encouraging a waiver. It will be difficult for Summit County residents to become insured. For the vast majority, it’s too high a price to pay,” said Polis, D-Boulder. The fact that many current health-care plans do not offer all the benefits required under Obamacare means that many premiums are likely to jump dramatically, Aetna CEO Mark Bertolini told CNBC. Bertolini, appearing on Tuesday&apos;s "Closing Bell," said that most Americans with current plans are below the 60 percent essential Affordable Care Act benefit requirement, and individual plan participants will have to pay a minimum of a 20 percent increase to upgrade, he said. Officials expressed concern that the next shoe to drop in the evolving story about the Affordable Care Act would be disappointment from consumers once they are able to get on the troubled HealthCare.gov website – disappointment because of sticker shock and limited choice, according to a new document obtained by CNN. New premium: $1,123. A 94% increase. Once the sound of boiling blood dissipated, I heard my Republican friends in my head chuckling at the sight of a liberal Democrat hoisted ten stories high on his own petard. How’s the view up there, Obamacare Ollie? One Oregon mother says that she is unable to afford health insurance for her and her 18-month-old son because it’s too expensive. Kate Holly, 33, tells KOIN-TV that she originally championed President Barack Obama’s signature health care law because she thought it would help people in her situation... Holly is hoping things work out but she doesn’t know if she will have health care for her and her son. WTAE reporters visited Simonetta Collision and Car Care in McKeesport, Pennsylvania, a part of the Pittsburgh metro area, on the day employees were to find out what their new health insurance premiums for the year would cost... The employees had seen a 6% increase in premiums in the past year only to discover on this day that the cost would more than quintuple to 32% because of the implementation of the ACA. Those with children found their deductibles double to $4,000, and co-payments for medical visits doubled as well. Health insurance premiums have risen more after Obamacare than the average premium increases over the eight years before it became law, according to the private health exchange eHealthInsurance. The individual market for health insurance has seen premiums rise by 39 percent since February 2013, eHealth reports. Without a subsidy, the average individual premium is now $274 a month. Families have been hit even harder with an average increase of 56 percent over the same period — average premiums are now $663 per family, over $426 last year. Health industry officials say ObamaCare-related premiums will double in some parts of the country, countering claims recently made by the administration. “It’s pretty shortsighted because I think everybody knows that the way the exchange has rolled out … is going to lead to higher costs,” said one senior insurance executive who requested anonymity. The insurance official, who hails from a populous swing state, said his company expects to triple its rates next year on the ObamaCare exchange. “Our phones are starting to light up,” said Douglas, who owns Pioneer Interstate Insurance. “Most (rates) are doubling.” He also got a letter from his insurance company informing him his premium will double next year, from $594 to $1,204 per month, if he qualifies for a $260 monthly federal tax credit again. Americans have recently been hit with some of the largest premium increases in years, according to a Morgan Stanley survey of insurance brokers. The investment bank’s April survey of 148 brokers found that this quarter, the average premium increase for customers renewing an insurance plan is 12 percent in the small group market and 11 percent in the individual market, according to Forbes’ Scott Gottlieb. The hikes — the largest in the past three years, according to Morgan Stanley’s quarterly reports — are “largely due to changes under the [Affordable Care Act],” analysts concluded. Sanford tells CNN that she's embarrassed. 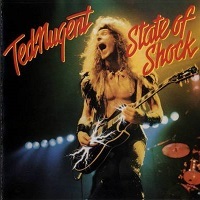 "It was a huge disappointment, especially since I had, you know, my story had been shared by the president. Hawaii’s ObamaCare exchange, the Hawaii Health Connector, costs the nation’s taxpayers the most per enrollee, according to a new study by Kaiser Health. Hawaii’s exchange, which has just more than 8,500 people registered, has a tab of about $23,899 per person. Former U.S. Rep. Charles Djou, D-Hawaii, noted Hawaii’s enrollment cost is 26 times the national average, 2 1/2 times the cost for the second most expensive state, North Dakota, and considerably more than the national average of $922 dollars per ObamaCare enrollee. Charges for some of the most common inpatient procedures surged at hospitals across the country in 2012 from a year earlier, some at more than four times the national rate of inflation, according to data released by Medicare officials on Monday... Between 2011 and 2012, prices for 77 out of the 98 most common ailments for which patients were admitted to the hospital increased. Treatment for a simple case of pneumonia rose by about 25 percent from $39,217 to $49,284. 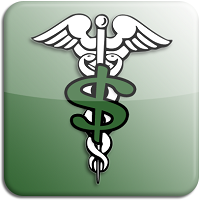 The average hospital charged $38,384 in 2012. Despite the availability of generous subsidies, 4 in 10 of those who bought a plan that meets the law&apos;s specifications said they had difficulty paying their monthly premiums. That&apos;s a sobering reality check on assertions by the Obama administration that coverage is readily affordable. More complaints are surfacing as patients start to use their new coverage bought through Covered California, the state&apos;s health insurance exchange. "I thought I had done everything right, and it&apos;s been awful," said Jean Buchanan, 56. The Fullerton resident found herself stuck with an $8,000 bill for cancer treatment after receiving conflicting information on whether it was covered. "How am I going to come up with that much money?" Institutions say complying with the Affordable Care Act has caused them to pass on some costs to employees, according to a new survey from the College and University Professional Association for Human Resources... Of those institutions that have made changes so far, 41 percent have increased employees’ share of premium costs. Some 27 percent have increased out-of-pocket limits, while about one-quarter increased in-network deductibles or dependent coverage costs, or both. Some 20 percent increased employees’ share of prescription drug costs. Obamacare mandates that substitute teachers cannot work more than 30 hours per week at the same district without being offered healthcare benefits. The Central Cambria School District is now faced with a serious dilemma- how they will deal with a teacher’s absence when a regular teacher cannot work and when a substitute teacher is close to exceeding their 30 hour threshold. The largest of these proposed increases comes from BlueCross BlueShield of Tennessee, which was also the most dominant carrier on Tennessee&apos;s exchange, enrolling about 90 percent of the approximately 150,000 Tennesseans who selected a plan in the marketplace. The Chattanooga-based insurer has gained approval for a 19 percent rate increase, which the company has said is necessary to reach a "break-even" point in 2015 after a loss of "tens of millions of dollars" during the first year of the public exchange. The implementation of the Patient Protection and Affordable Care Act has made most employers “rethink” their employee benefit offerings, including increasing employees’ share of cost even more via consumer-driven plans. Roanoke City Public Schools will become the first area division to outsource its substitutes to a New Jersey-based company. Beginning Jan. 5, Source4Teachers will staff the city’s substitute teachers, substitute aides and substitute clerical workers. The move to privatize subs will cost about $1.6 million, and it is unclear whether it will save money. Officials have said it will help tame costs associated with the Affordable Care Act, as well as the law’s tracking and reporting requirements. While President Obama campaigned on a promise that his universal health care plan would lower premiums, his controversial adviser and plan architect was privately warning the state of Wisconsin that Obamacare was poised to massively increase insurance costs for average residents, internal documents show... Mr. Gruber’s study predicted about 90 percent of individuals without employer-sponsored or public insurance would see their premiums spike by an average of 41 percent. In post-ACA America, health care is so expensive that Americans are both spending less in other sectors of the economy and putting off doctor visits more readily than at any time since 2001. Three recent stories show the scope of this problem. First, the WSJ reports that middle income Americans spent 24 percent more on health care in 2013 than they did in 2007. President Obama’s health care adviser Jonathan Gruber said that the Affordable Care Act would definitely not be affordable while he was writing the bill with the White House... Gruber said that Obamacare had no cost controls in it and would not be affordable in an October 2009 policy brief, presented here exclusively by TheDC. At the time, Gruber had already personally counseled Obama in the Oval Office and served on Obama’s presidential transition team. Obama, meanwhile, told the American people that their premiums would go down dramatically. It will cost the federal government – taxpayers, that is – $50,000 for every person who gets health insurance under the Obamacare law, the Congressional Budget Office revealed on Monday... The best-case scenario described by the CBO would result in &apos;between 24 million and 27 million&apos; fewer Americans being uninsured in 2025, compared to the year before the Affordable Care Act took effect. Pulling that off will cost Uncle Sam about $1.35 trillion – or $50,000 per head. Months after sounding the alarm that Affordable Care Act fees and high drug costs were creating problems for insurers, three of the state&apos;s four biggest commercial insurers reported drastic operating losses for the fiscal year ending Dec. 31. Blue Cross Blue Shield of Massachusetts saw one of the biggest losses, reporting an $118.8 million operating loss in fiscal 2014, from a $17.2 million operating loss the prior year... Yet the loss was higher than anticipated, largely due to a 30 percent increase in the cost of specialty medications, and the taxes and fees associated with the Affordable Care Act – also known as Obamacare - which totaled $286 million in 2014. More than a quarter of adults who bought health insurance on exchanges created under Obamacare skipped important doctor visits and medical tests because they could not afford to pay, a study published Thursday by Families USA found. Among low- and middle-income adults, the proportion of people who avoided care was even higher, at nearly one-third... Of adults who were insured for a full year, 25.2 percent did not get necessary medical care, including tests, treatments and medications. Of lower- to middle-income adults, 32.3 percent reported not getting care they needed. The federal government cannot verify nearly $3 billion in subsidies distributed through ObamaCare, putting significant taxpayer funding "at risk," according to a new audit report. The Department of Health and Human Services (HHS) Office of Inspector General (OIG) released an audit Tuesday finding that the agency did not have an internal system to ensure that subsidies went to the right enrollees, or in the correct amounts. “Get outta here?!... What do we do now?" The U.S. Environmental Protection Agency was trying to protect the environment when it caused a major spill instead. Health insurance premiums for plans sold on Obamacare’s health exchanges are about to get more expensive next year, according to a glimpse of rate proposals—some with double-digit increases—that the White House made public this week... Some are even higher. For example, Blue Cross Blue Shield in Alabama proposes to raise its platinum plan (the highest tiered plan) by 71 percent next year. Insurers attribute the higher rates to the rising cost of prescription drugs as well as their added costs from new consumers enrolled under the law’s health exchanges. Jesse Ellis O&apos;Brien, a health advocate at the Oregon State Public Interest Research Group, said: "Rate increases will be bigger in 2016 than they have been for years and years and will have a profound effect on consumers here. Some may start wondering if insurance is affordable or if it&apos;s worth the money." Obamacare manages to pair high deductibles with higher premiums, to deny many Americans one of the main benefits of high-deductible plans, and to leave many people less able to pay their medical bills. It shows how badly this law is failing that the nation’s top left-leaning news outlets are willing to dump on it. The Kaiser Family Foundation on Tuesday released the results of its annual survey of employer health plans, finding that while there was a relatively modest 4 percent increase in premiums, deductibles have continued a steep upward trend. Deductibles for a single person&apos;s coverage have risen nearly seven times as fast as wages and inflation and almost three times as fast as premiums over the past five years. "We continue to see a steady, steady increase in deductibles and out-of-pocket costs, which is now really adding up," said Drew Altman, president of the Kaiser Family Foundation. Oct 2015: Obamacare customers are facing an average 7.5 percent price increase for a key benchmark health plan next year, according to limited data the Obama administration released just days before the start of a challenging enrollment season. Consumers shopping for health insurance on healthcare.gov will see premiums increase by an average of 7.5 percent, according to data released by the U.S. Department of Health and Human Services on Monday. Open enrollment begins on Sunday, Nov. 1. "We will start by reducing premiums by as much as $2,500 per family." The state approved a 27.3 percent rate hike for Hawaii Medical Service Association members and 34.4 percent increase for Kaiser members in Obamacare plans for 2016. HMSA, the state&apos;s largest health insurer, had proposed an average 49.1 percent rate hike — the highest it has ever requested — for 20,935 members in Obamacare plans next year. Last year, the bronze plans had an average deductible of around $5,000. This is hardly a boon for the poor, as people unable to afford the premiums of a silver or better plan are unlikely to have $5,000 lying around for medical expenses. [Feb 2016]: Twenty-six percent of U.S. adults say they have been personally harmed by the healthcare law since its passage — a fraction that likely reflects those in the poll who said they have noticed rising healthcare costs in the last several years. And while the majority of adults said they believed their healthcare costs were “reasonable,” many said those costs were becoming less affordable over time. After the Affordable Care Act went into effect in 2013, Wisconsin consumers saw their now-mandatory health insurance premiums increase. On the federal health insurance exchange, a healthy 21 year-old Wisconsinite saw his premium jump 135% for the cheapest coverage available. A hypothetical 35 year-old in Wisconsin saw a premium increase of 107% according to data compiled from both the ACA website and pre-ObamaCare plans. Those premium increases didn’t just stop after ObamaCare went into effect, annually news reports emerge showing premium prices continuing to rise in Wisconsin. Back in 2008, three eminent Harvard economists who were advising the Obama campaign—David Cutler, David Blumenthal, and Jeffrey Liebman—wrote a memo claiming that Senator Obama’s health-care plan could reduce national health spending by $200 billion a year. Health insurance premiums have increased faster than wages and inflation in recent years, rising an average of 28 percent from 2009 to 2014 despite the enactment of Obamacare, according to a report from Freedom Partners... According to the report, while premiums increased by 28 percent from 2009 to 2014, wages increased by only 7.8 percent. From 2004 to 2009 when premiums increased by 30 percent, wages increased by only 12.2 percent. A video shows Chelsea Clinton blasting the "crushing costs" of President Barack Obama&apos;s signature legislation. In the video, Chelsea Clinton tells a crowd that her mother, Hillary Clinton, is open to using executive action to reduce "crushing costs" of Obamacare. Sadly, the problem is about to get even worse, with expected spikes in both premiums and deductibles in 2016. Bronze plans are expected to have deductibles as high as $6,850. 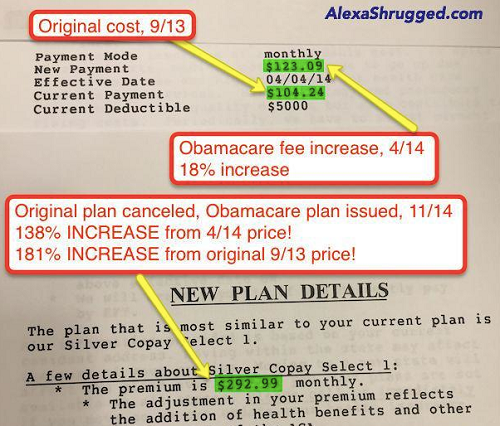 Silver plans are not much better, with expected deductibles of $6,500. [Apr 2016]: The cost of health care is the greatest financial concern among American families with 15 percent of U.S. adults citing the issue as their top economic worry, according to a new Gallup poll. Anxiety about low wages ranked as the second most important financial concern while debt and college expenses followed. Clinton’s daughter, Chelsea, suggested in March that her mother would use unilateral executive action to keep health care costs down for those who have to pay “crushing” costs under Obamacare. Hillary Clinton said last year that the Affordable Care Act turns full-time jobs into part-time jobs as employers try to keep their own costs down. 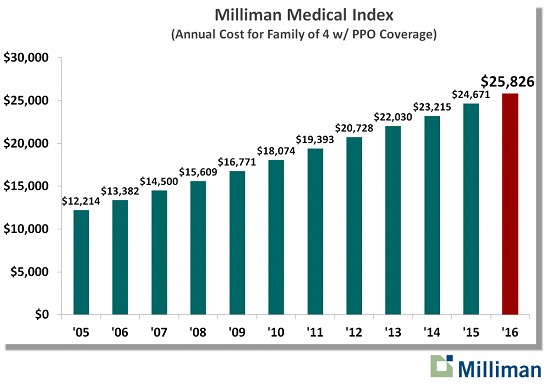 This year’s MMI–which calculates the total cost of employer-sponsored PPO coverage for an average American family of four–is $25,826. Arizona on Monday became the latest state to face Obamacare sticker shock, with a major insurer calling for a 65 percent increase next year. Blue Cross Blue Shield of Arizona requested a 65 percent increase for 2017 for an Obamacare marketplace plan, the biggest in the state, according to a report from azcentral.com. Another insurer, Phoenix Health Plans, wants a 60 percent increase and other insurers are calling for rate hikes of nearly 30 percent. [June 2016]: Premiums for popular low-cost medical plans under the federal health care law are expected to go up an average of 11 percent next year, said a study that reinforced reports of sharp increases around the country in election season... Half of the cities will see increases of 10 percent or more. Last year, only two of the cities had double-digit increases. "Premiums are going up faster in 2017 than they have in past years," said Cynthia Cox, lead author of the analysis. The proposed 2016 rates will offer the most accurate portrait so far about the health of the marketplaces... Tennessee’s biggest insurer has proposed an increase of 36 percent for some plans, while one of New Mexico’s biggest carriers is looking at a 50 percent increase. The most popular carrier in Maryland has called for a 30 percent hike. Premiums for Californians’ Obamacare health coverage will rise by an average of 13.2% next year — more than three times the increase of the last two years... Two of the state’s biggest insurers — Blue Shield of California and Anthem Inc. — asked for the biggest hikes. Blue Shield’s premiums jumped by an average of more than 19%, according to officials, and Anthem’s rates rose by more than 16%. The sticker shock of double-digit Obamacare rate hikes has left many New Yorkers reeling, worried whether increased health-care bills will put them in the poor house. “With me being on a fixed income and my wife working part time, I’m not sure how we’re going to afford this increase,” said John Scaturro of Washington Heights, whose wife Lorette is a breast cancer survivor. Lorette, 59, is already sacrificing — paying $656 a month on a joint annual income of $58,000 — to get the best coverage available from Oxford Health Plans. But Oxford has notified her that it’s canceling her policy for 2017 — and a replacement could cost as much as $839 a month. [Sept 2016]: Prices for medicine, doctor appointments and health insurance rose the most last month since 1984. The price increases come amid a broader debate about climbing health care costs and high premiums for Obamacare coverage... Premiums on the Obamacare exchanges are expected to rise by double-digits this year. 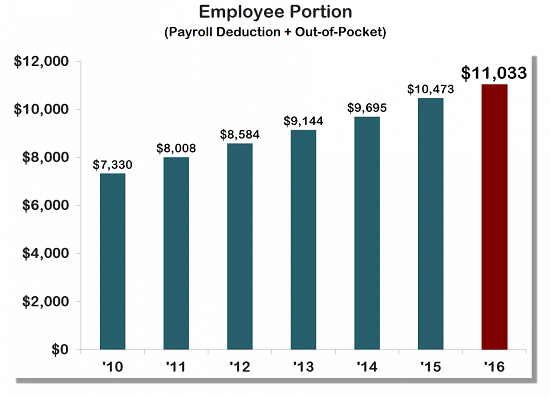 Overall, workers are paying up more for deductibles. Over half of U.S. workers with single coverage health insurance plans pay a deductible of $1,000 or more, up from 31% of workers in 2011. And the health care price increases come as inflation overall continues to be low. Minnesota&apos;s Democratic governor said Wednesday that the Affordable Care Act is "no longer affordable," a stinging critique from a state leader who strongly embraced the law just a few years ago... "The reality is the Affordable Care Act is no longer affordable for increasing numbers of people," Dayton said, calling on Congress to fix the law to address rising costs and market stability... But after several years of steadily increasing premiums, top state regulators said this fall that Minnesota&apos;s individual market is in "a state of emergency." Obamacare introduced new regulations into the health care marketplace that contributed to premiums doubling after the legislation took full effect in 2014, according to a report the Department of Health and Human Services (HHS) released Tuesday evening. HHS compared premiums in the exchange marketplaces in 2013, one year before Obamacare regulations took full effect, to premiums in the exchange marketplace in 2017. The report found that average monthly premiums increased from $224 in 2013 to $476 in 2014. That constitutes a 105 percent increase in only 4 years. 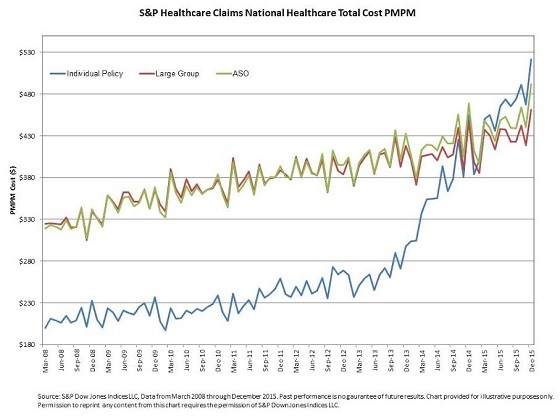 Health care costs continue to rise under Obamacare. A report released Tuesday by the Department of Health and Human Services shows a significant hike in the average cost of individual plans since 2013 in 39 states. In 2013, the average annual cost of a premium for an individual health care plan was $2,784. By 2017, the average annual cost for a premium for an individual health care plan on HealthCare.gov was $5,712. [Sept 2017]: Hartford officials said Thursday it will likely file for bankruptcy in 60 days unless Connecticut provides help for the cash-strapped capital city in the midst of a fiscal emergency. Rising fixed costs for health care and pensions have been driving Hartford’s fiscal challenges. President Barack Obama&apos;s home state of Hawaii&apos;s Obamacare exchange spent $35,749 per enrollee, a sum greater than the price of a new 2014 BMW 320i sedan (MSRP $32,750). 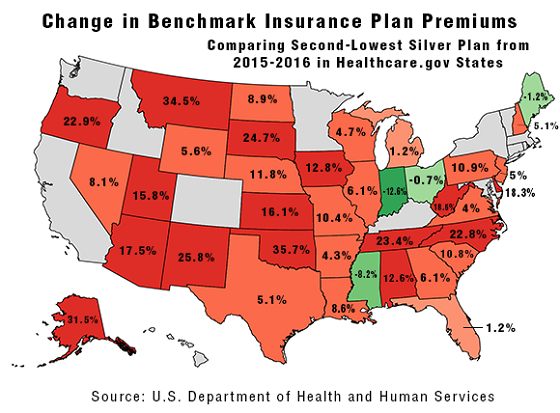 In Georgia, the average premium for the equivalent of a mid-level "Silver" plan for a 40-year-old male went from $94 a month in 2013 to $323 a month in 2017. In Tennessee, it went from $104 a month to $431. Between a third and a half of people age 45 to 59 and a quarter of those 60+ went without needed health care in the past year due to its cost, according to a troubling new survey from the West Health Institute and NORC at the University of Chicago.